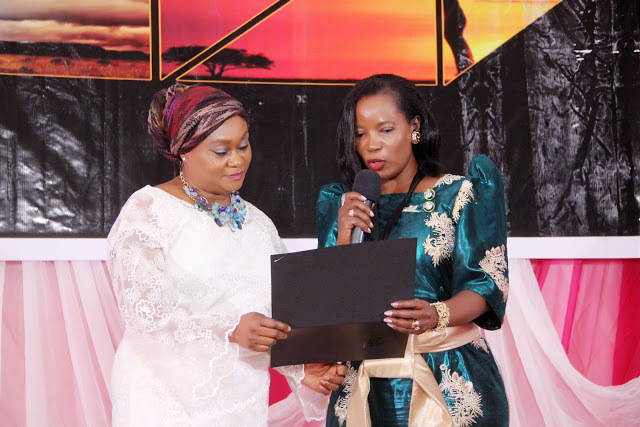 Ellen Chiwenga has been named the best African woman making a difference, Sports category at a colourful African Virtuous Women Awards 2018 ceremony that took place at the Women’s Development Centre in Abuja Nigeria. The award recognises the work undertaken by Chiwenga to develop country infrastructures through football, charity work, and worldwide sponsorships. In her acceptance speech, Ellen said “I am very grateful to all for this award. It gives me strength and willpower to keep promoting the amazing potential of Africa and Zimbabwe internationally”. The glittering award ceremony held on September 1st attracted high-level guests from all over Africa. Eighteen individuals were shortlisted for the awards with several other individuals from across the world getting special recognition. Those who received special recognition awards for their individual contributions to Africa were former Zimbabwe MDC-T MP and Lawyer Hon. Jessie Majome, Uloma Rochas Nwosu, Bill and Melinda Gates Foundation, and Queen Adebukola Ojo. Chiwenga also won the Personality of the Year award 2017 from Zimbabwe Achievers awards in London.